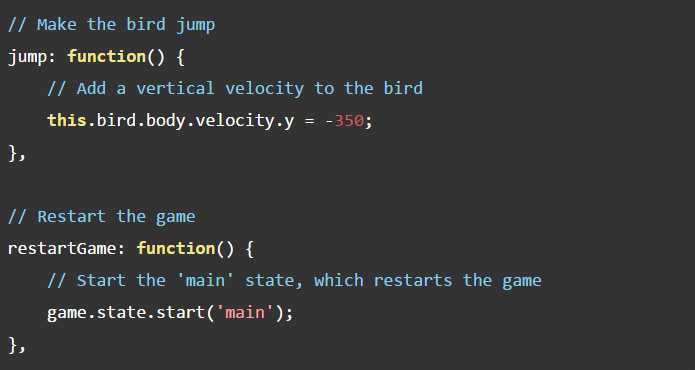 Everything is quite simple and well commented, so you should be able to understand easily the code below. Now it's time to test our game. Open the index.html file with the Brackets editor, then click on the small icon in the top right corner. 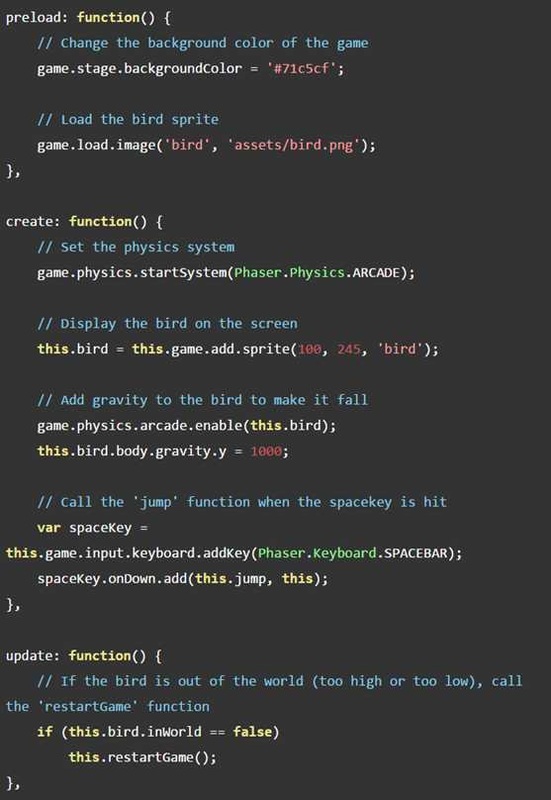 It will launch a live preview of the game, where you should have a bird jumping when you press the spacebar key.